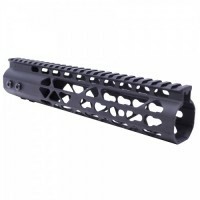 One of the best upgrades to improve your AR 15 rifle is to improve with best quality AR 15 Handguards. 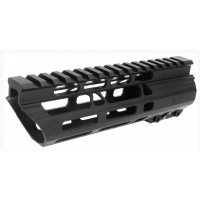 Two types of AR 15 Handguards are available in our stock, free float and drop-in. 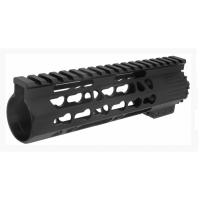 Free floating handguards ensure accuracy, most are lightweight and have monolithic top rail that allows no gap between the receiver and rail system. 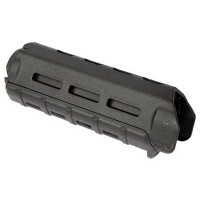 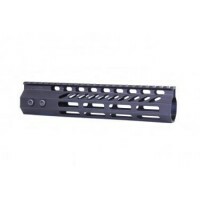 Drop in handguards are a popular choice as well for your sight tower build and are offered by Magpul rails. 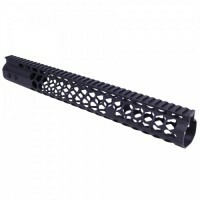 AR 15 handguards of various lengths can be ordered once you select the right one according to the measurements of your barrel. 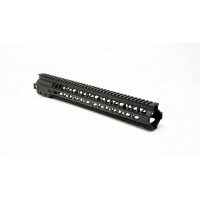 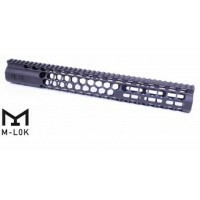 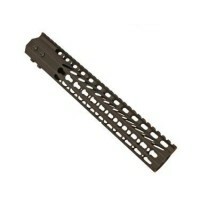 Moriarti offers a wide variety of keymod rails to choose from, slim or standard profile. 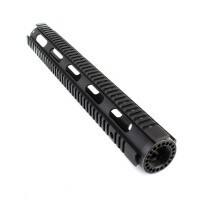 These types of AR 15 handguards are of specialized feature that can be used for different purposes. 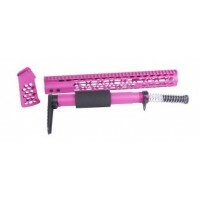 Once you narrow down your choices, services are available to customize your required configuration. 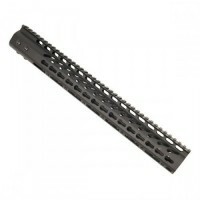 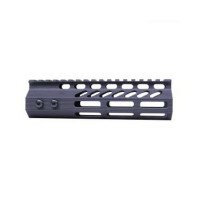 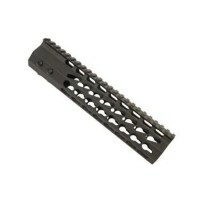 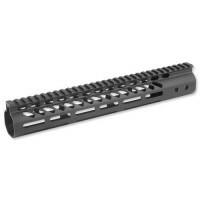 AR-15 10" AIR LITE KEYMOD FREE FLOATING HANDGUARD WITH MONOLITHIC TOP RAIL. 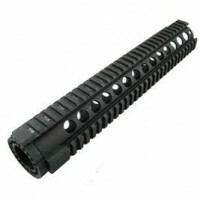 Proprietary Lightweight Aluminum Barrel Nut Included. 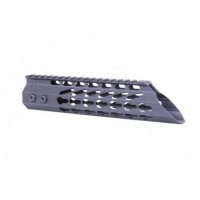 US MadeT6 Aluminum BodyAir Lite SeriesNice Annodized Black FinishTotal Weight Including Barrel Nut Is 7.5 oz! 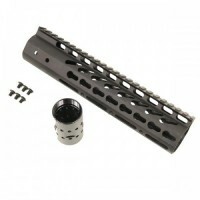 !5 KeyMod Slots On 3 Sides of Front End Of Ha..
AR-15 10" ULTRA LIGHTWEIGHT THIN KEY MOD FREE FLOATING HANDGUARD US MadeT6 Aluminum BodyUltra LightweightProprietary Lightweight Aluminum Barrel Nut IncludedTotal Weight Including Barrel Nut Is 7.9 ozKeyMod SystemRail System Slides Over Barrel Nut , And Is Locked Up Again..
AR-15 16" QUADRAIL FREE FLOAT HANDGUARD RIFLE LENGTH, USA MADEPRODUCT SPECIFICATIONSCNC precision machined solid 6061-T6 aluminum with a hard anodized matte black finish, these quality rails give you lots of accessory options. 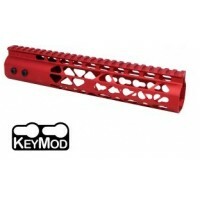 Each has two QD sling swivel ports and with an inner diameter of 1.835", ..
AR-15 12" ULTRA SLIMLINE OCTAGONAL 5 SIDED KEY MOD FREE FLOATING HANDGUARD WITH MONOLITHIC TOP RAILUS MadeT6 Aluminum Body5 Sided Keymod, at the 90, 135, 180, 225, 270 Degree MarksOctagonal Slimline DesignThin Grooves In Extrusion For Better GrippingUltra LightweightProprietary Barrel..
AR-15 15" Free Float Ultra Light Weight KeyMod Rail. 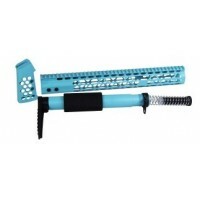 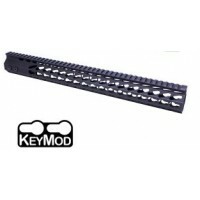 15" ultra lightweight thin key mod free floating hand guard with monolithic top rail. 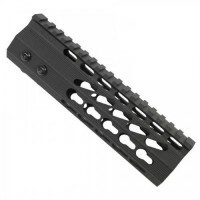 US Made T6 Aluminum Body Steel Barrel Nut Ultra Lightweight ..
AR-15 16.5" ULTRA SLIM LINE OCTAGONAL 5 SIDED KEYMOD FREE FLOATING HANDGUARD WITH MONOLITHIC TOP RAIL. 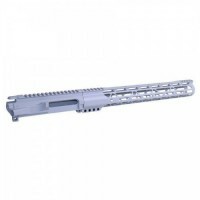 Tight Fit Up Against Receiver, Which Allows For A Monolithic Top Rail. 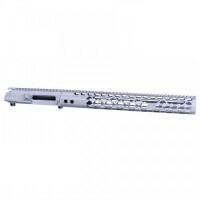 US MadeT6 Aluminum Body5 Sided Keymod, at the 90, 135, 180, 225, 270 Degree MarksOctagonal Slimline DesignThin Grooves I.. 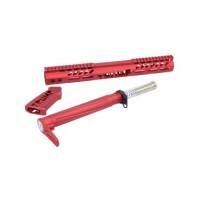 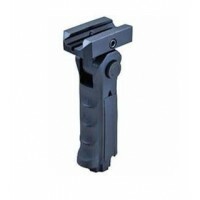 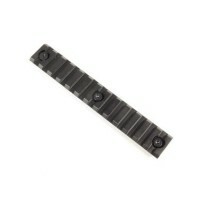 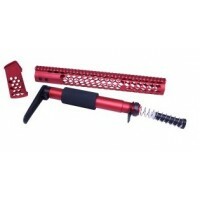 This one piece light weight clamp on keymod free float hand guard is easy to install and upgrade your pistol or rifle. 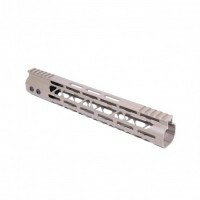 The simple barrel nut installs with the same armorer's wrench used to remove the USGI barrel nut, and the hand guard simply slides over the new barrel nut and attaches with th..
AR-15 7" MLOK SLIM DESING SLANT CUT FREE FLOAT HANDGUARD This Slant Cut free float M-Lok handguard features a monolithic integrated Picatinny 1913 top rail, and 5 rows of M-Lok attachment points for accessories. 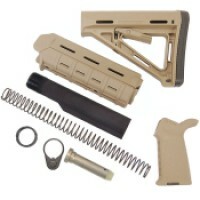 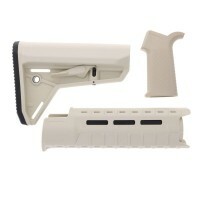 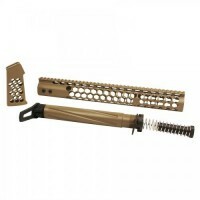 Other key features include: Skeletonized profile for improved ventilat..
AR-15 Magpul SL Carbine Length Stock Kit - FDE Sand. 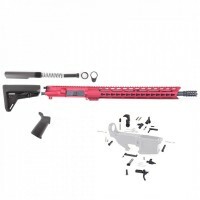 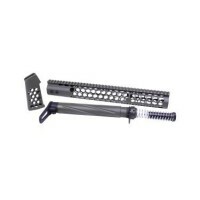 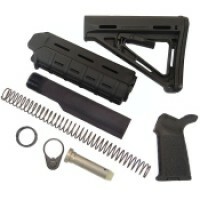 This Kit has a Mil-Spec Stock and will NOT fit Commerical Buffer tubesNarrow design replaces bulky M4 Carbine-type plastic hand guardsReinforced, heat-resistant polymer constructionPremium chrome-silicon lock spring provides positiv..